It was nice to receive three full size products (gloss, eyebrow pencil and mascara). I especially like that those were all products I would use. The NYX butter gloss is amazing but the color is not. It is very pale and whitish. I think I'll buy a nice red or dark pink in that line which will have more color. I loved the beach waves spray. By far the best I've tried of those type of products. It smells amazing. I haven't tried the mascara - I have several free ones in my stash so it is in the line up. I'll be giving the perfume away because I only wear philosophy's grace line. (Amazing Grace is my FAV and Living Grace my 2nd fav). 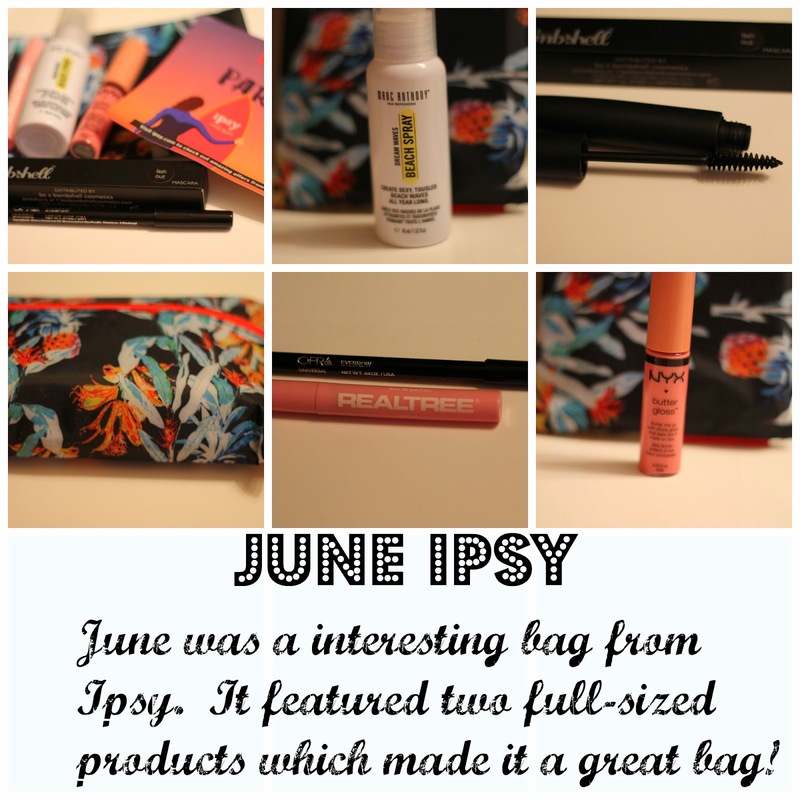 You can sign up for Ipsy - which is a subscription service here. They bill on the 1st of the month and ship around the 15th. I love getting a little surprise in the mail each month and at $10 it is very affordable!